Throughout the successful and meaningful leadership training program that was held in February, participants were pushed to their limits to achieve a high standard of accomplishment and learnt the value of leadership through service. After careful selection by the committee, we decided that Yasir Ahmed Naveed will represent Rotary International District 3450 as the 2009 - 2010 Best RYLArian, as he clearly demonstrated the potential and growth that we hoped to be achieved through our program. He will be have the opportunity to attend the forthcoming 2010 Rotary International Convention in Montreal, Canada as a representative of our district. We are proud and confident that he will represent our district well. 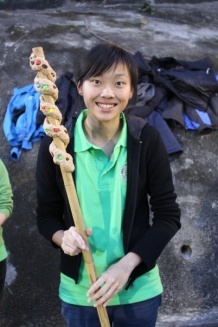 We are honoured to announce Yannie Hui Wai Yan as the 2009 - 2010 First Runner Up Best RYLArian. She too has demonstrated the potential and growth that we hoped. She will be representing Rotary International District 3450 at the 2011 Rotary International Convention.